Brie Larson gives a superb performance...unleashing a startling display of mama-lion intensity. ROOM premiered to packed houses and standing ovations at the Telluride Film Festival this past weekend, and will next screen at the Toronto International Film Festival as a Special Presentation on Tuesday, September 15. A24 will open ROOM in New York and Los Angeles on October 16th. 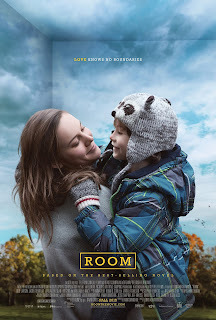 Both highly suspenseful and deeply emotional, ROOM is a unique and unexpectedly tender exploration of the boundless love between a mother and her child. After 5-year-old Jack and his Ma escape from the enclosed surroundings that Jack has known his entire life, the boy makes a thrilling discovery: the outside world. As he experiences all the joy, excitement, and fear that this new adventure brings, he holds tight to the one thing that matters most of all--his special bond with his loving and devoted Ma.